08:44 AM - CaLmInG MeLoDy tagged ~KAYRA~ in thread Waaldain...!!! 08:44 AM - CaLmInG MeLoDy tagged Arosa Hya in thread Waaldain...!!! 08:44 AM - CaLmInG MeLoDy tagged MHA in thread Waaldain...!!! 08:44 AM - CaLmInG MeLoDy tagged FOOl in thread Waaldain...!!! 08:44 AM - CaLmInG MeLoDy tagged Lost Passenger in thread Waaldain...!!! 08:44 AM - CaLmInG MeLoDy tagged Forum Guru in thread Waaldain...!!! 08:44 AM - CaLmInG MeLoDy tagged KhUsHi in thread Waaldain...!!! 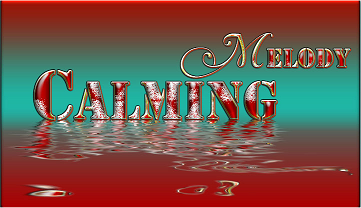 08:44 AM - CaLmInG MeLoDy tagged Admin in thread Waaldain...!!! 11:09 PM - muzafar ali tagged CaLmInG MeLoDy in thread Zinda Rahy To Har Roz Tumhein Yaad Karty Rahain Gy…!! 11:53 PM - Arosa Hya tagged CaLmInG MeLoDy in thread Ahadis about Nikkah ! 09:05 PM - Arosa Hya tagged CaLmInG MeLoDy in thread When you marry Laura instead of laila ! 06:40 AM - CaLmInG MeLoDy quoted Miss You in post Re: Ap ke khayal main ye kin ka fake profile hai ?